Check out some videos from the album recording session here. Released 1st September 2017. 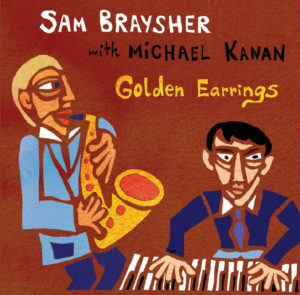 Golden Earrings (Fresh Sound New Talent Records, 2017) sees young London alto saxophonist Sam Braysher (who has recently been heard playing with Jorge Rossy, John Warren, Barry Green, the London Jazz Orchestra) teaming up with celebrated New York pianist Michael Kanan. Kanan is a real master with an exquisite touch, a world-class interpreter of standards who has collaborated extensively with jazz royalty including Jane Monheit, Jimmy Scott, Kurt Rosenwinkel and Peter Bernstein. 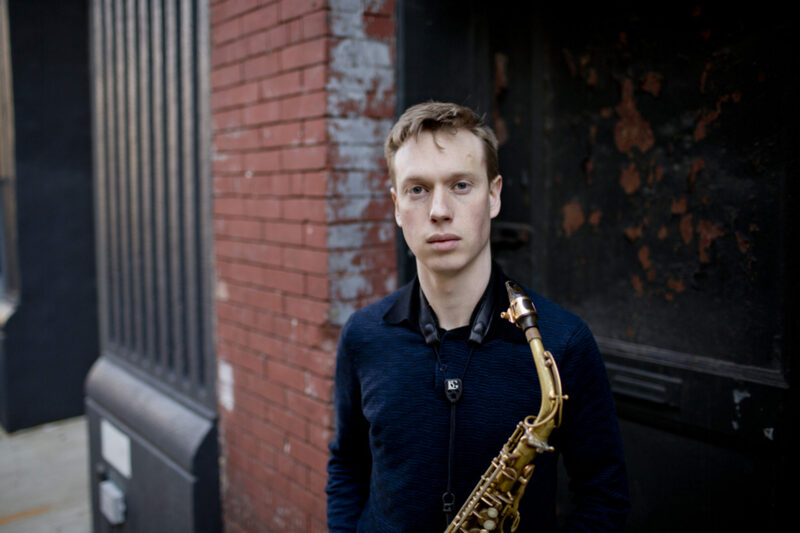 The album, Braysher’s debut, features takes on almost-forgotten treasures by Victor Young, Irving Berlin, Duke Ellington and Tadd Dameron, as well as one original composition. 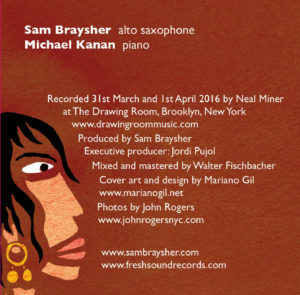 The disc also marks the first time that Fresh Sound New Talent, the iconic Barcelona-based record label, which launched the careers of Brad Mehldau, Robert Glasper, Ambrose Akinmusire and Kurt Rosenwinkel – has produced an album by a British bandleader. An intimate, conversational duo set. You can read some press quotes about the album here.